Set a goal that will give you an idea of how many words or pages you need to complete each writing session [side note: when you set your goal date for finishing your draft in your Now Novel profile, you will see a month, week, day and minute countdown clock]. 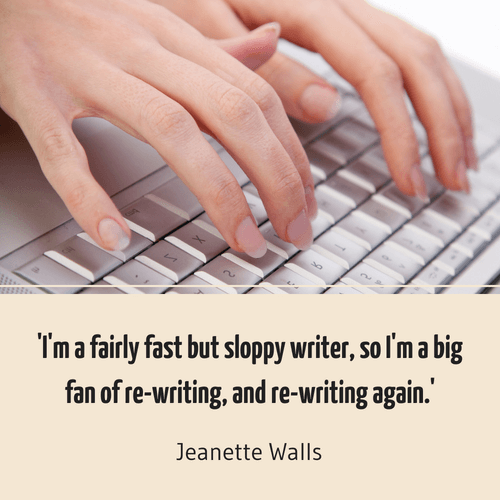 Because your goal is to write fast, your target should be fairly ambitious. If you really find yourself falling short you can go back and change your goal, but keep in mind that the idea is to push yourself and focus on quantity and putting ideas down loosely at this stage. Polish, shine and captivating chapter beginnings, middles and endings come later. Using an outline increases your writing speed. Why? The more structure you put in place before actually writing, the easier it will be to keep going. You don’t have to stop as much to think about where your story will take your characters next, or primary story conflicts. Once you start writing scenes and sequences and chapters the basic structure – one that you can deviate from as needed – is there. Try the Now Novel story builder, a guided process of prompts that will help you gather the loose strands of your ideas and weave them into a richer story tapestry. First, divide your word count into three acts. Your first and third acts could be 12,500 words long. Your second act could be 25,000 words long. This basic scaffolding approach is different from creating a full plot outline. If you’re a pantser you can use this approach because it is not necessary to know what the specific plot points will be until you are writing your draft. This looser approach still gives you a sense of pace to aim for. The key is to remember a first draft vs a final draft is an entirely different prospect. it can be messy. You can see the scaffolding still (you’ll take it all out when you revise, anyway). Your first draft might not have crazy plot twists or subplots, or all kinds of richly detailed secondary characters. This is fine. It’s easier to write a rough draft fast when you’re focusing on the main, most important events and facts. To draft faster, also give yourself the freedom to work on story sections out of order, if you like. Just remember to write a sentence or two for even the chapters or sections you leave out. Indicate in your notes rough ideas for what will happen, and come back to this moment when you’re satisfied with your ideas for what to include. Your final novel should have a narrative arc that makes sense. Yet you don’t have to construct your novel’s rough draft sequentially in the chronological way the final book will be read. ‘Modified’ free writing can be a great way to speed up your writing. In regular free writing, you would sit and write anything on a specific subject (or anything that pops into your head) for a designated amount of time. This may be useful in the planning stages, but it is not necessarily the best way to push your novel forward. However, you can still do a kind of free writing when you are working on your novel. For example, if you have some idea of where a current scene is going, see how quickly you can write it without stopping to think or self-edit. Allowing your mind to make subconscious connections without turning on your critical, editorial voice is a good skill to develop. For example, pretend that you are writing your novel as a series of blog posts and you only have 350 words for each scene. Alternately, imagine that your book is a serial and that readers are getting short segments daily. Since you are writing quickly, you will want to write more than one short scene or segment in each writing session, but this can be a good way to force you to be efficient in each scene and include only the most important details and then move quickly on to whatever comes next. This exercise is helpful because it will teach you to be succinct and precise so that you avoid cluttered writing. Partnering up with a writing friend (or a writing coach) is a useful way to stay focused and determined. At Now Novel, we find members who work with a coach tend to develop deep commitment to their stories, and having someone to bounce ideas off is useful in those moments where you doubt your own intuition. Setting deadlines for yourself or together with your accountability partner is a small step, and finishing your entire book is a series of these conscious steps. Once you have a draft down on paper, you can begin to shape it into the novel you’d love to write – and read. Several of the rough draft writing techniques outlined above can be combined. For example, you can mix creating an outline with basic scaffolding for a clear sense of general structure and direction. Whether you are a planner or a pantser, its possible to finish your first draft fast. It’s a simple matter of finding the process that works for you. Writing a novel and need help sticking to your goals and developing your ideas? 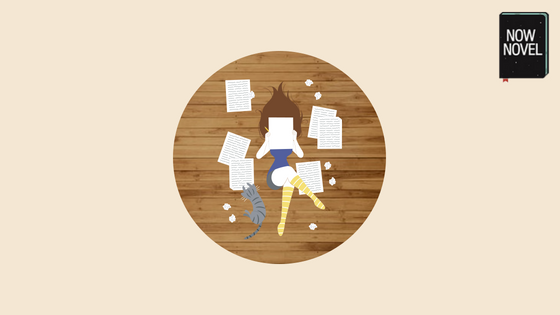 Join Now Novel and find a writing coach who will help you make swifter progress.